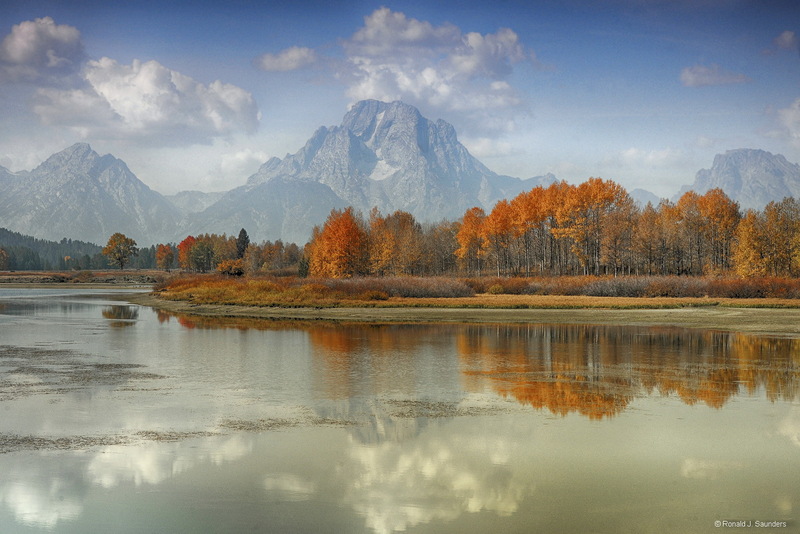 I shot this fall foliage image at Oxbow Bend on the Snake River while traveling through the Grand Teton National Park, on September 28th, 2012. I was on the beach level to get the maximum amount of reflection of the golden foliage, the clouds and Mt. Moran. Photo © copyright by Ronald J. Saunders.